The doll is 22″ tall. The doll has 3 faces: sad, happy, and sleeping. The doll is a talking doll. It laughs at the happy face, cries at the sad face. The doll takes a C battery located at the base of the back.The doll came with a lever at the back base of her neck. Move the lever to see her face change between the sad face, happy face, and sleeping face. It wears a pink tweed snow suit with built in feet and hood. The clothing is non-removeable. The hood is also fixed in place-it ALWAYS covers the babies head. The white fur trim is a nice detail. The unfortunate part of the clothing being fixed in place are that cleaning the outfit and fixing un-done seams and other dis-repair are impossible with a simple machine washing and sewing machine. Hello. Your doll is worth about $20 to the right buyer for parts. Repair of your doll is not what I recommend. There are many of these dolls in better and more complete condition. The doll is not garbage though. It should be sold to for parts to repair another doll. Went to my parents house today and my old doll was sitting in the table. I forgot it had sound. I will see if it still works. My teenagers find her creepy but I can remember how much I enjoyed playing with her. I was curious what is she worth fully clothed in working condition? I am trying to locate one of these dolls that still makes her sounds. Any help would be greatly appreciated. The best way to find this doll in the condition that you desire is to regularly comb google and eBay. You will have to hunt this one down. 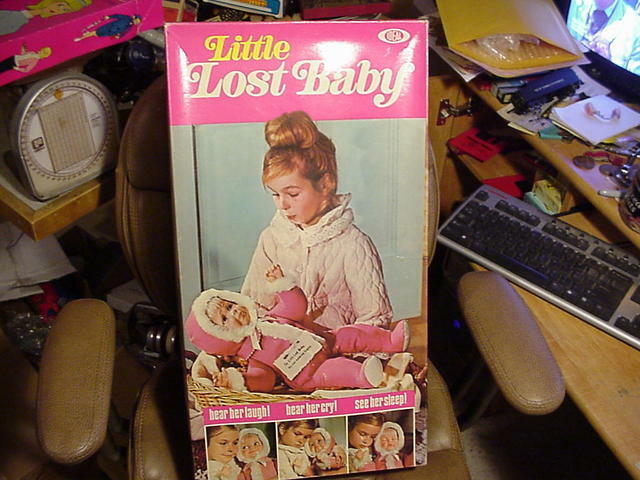 Oh my gosh, I had this doll too. I am going to guess I got her Christmas of 1969. I loved this doll, but haven’t even seen a picture of her until today. I remembered exactly what the snow suit looked like, but forgot what the 3 faces looked like. I am going to have to try to find one on Ebay. Thanks for posting, enjoyed seeing the photo. Hi. My mom had this doll as a little girl and now I have it put up for my daughter when she gets older. I was just curious how much it’s worth now. Id greatly appreciate your feedback. Thank you for your time . I do toy appraisals to support the blog for a small donation. Hello. Search for her daily on google and eBay. Good luck in your search. Here is a link for one that is buy it now for $15! Hi Lisa! Ebay ebay ebay!